Day 2 of the partypoker Caribbean Poker Party $10,300 MILLIONS High Roller was completed with 19 players still in contention. 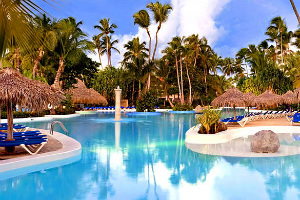 The second day of the tournament was played at Meliá Caribe Tropical in Punta Cana, Dominican Republic. It started off with 43 survivors from the previous day, but the field was gradually reduced to just 19 finalists by the end of the eight levels scheduled for Saturday. Jonathan Little, a US poker pro with live tournament earnings of more than $6.5 million, bagged the largest stack last night, securing himself with excellent position for the final day of action. The player entered Day 2 with 1 million in chips and maintained that stack for the first half of the day. He gained speed in the latter stages of game and gradually built a stack of 7 million. At some point, Little faced off the then chip leader Steffen Sontheimer in what turned out to be the largest pot of the tournament so far and won the confrontation to rocket himself well ahead of his fellow players. By the end of the eight levels, Little had a total of 15.08 million in chips. Day 2 of the event saw one more participant pass the 10-million mark. Norway’s Preben Stokkan bagged 11.21 million last night and will enter the final day of action second in chips. Other notables still in contention include Germans Steffan Schillhabel, Steffen Sontheimer, and Manig Loeser, as well as Kenny Hallaert, Sergio Aido, and Mike Watson, among others. Popular high rollers Steve O’Dwyer and Bryn Kenney were among those to run out of luck on Day 2. Here it is important to note that registration for the tournament remained open halfway through the day and those eliminated from the event had the chance to re-enter it unlimited number of times. O’Dwyer made six attempts to secure a seat into Day 3 and Kenney fired four bullets, but they both failed to make it to the end. Others who busted on Day 2 included start-of-the-day chip leader Francois Billard, partypoker Chairman Mike Sexton, and UK poker pro Sam Trickett. Day 3 of the event is set to be played today at the poker tables of the host venue. The 19 survivors will resume play at noon local time and will play down to the official final table first and then to a winner. The money bubble is also yet to burst. The tournament features a guaranteed prize pool of $1 million. The top 11 finishers will receive a share of the money, with min-cashes starting from $20,000. The winner will be awarded the amount of $275,000 for surviving throughout all three days of action. 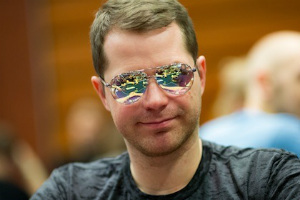 The start-of-the-day chip leader, Jonathan Little, is a well-known name in the world of tournament poker as he has been around for over a decade. He has not been as frequent participant in high rollers as most of his remaining fellow players, but given his chip advantage and his experience on the felt, he is certainly a feared opponent.